For most folks, a weekend away at the spa is a rare treat – some people might never get to enjoy a real spa getaway. Especially if you have children, it seems all too easy for every weekend to get consumed with projects, chores, kids activities, and more. That said, you don’t have to escape to some expensive resort for a few days to get that same type of luxurious rest and relaxation. With a little bit of handiness and a small budget, you can create a spa-like oasis right in the comfort of your own backyard. Once your personal paradise is complete, you’ll be able to enjoy it any time you want! So for today’s blog, we’re going to spend some time going over a few ideas that can help you make your dream backyard into a reality. One of the most obvious ways to give an oasis-like feel to your backyard is to add the quintessential spa fixture: a hot tub. Giving yourself the luxury of a hot, bubbly dip in the backyard cannot be recommended highly enough. It’s a great opportunity to socialize too – from a romantic evening with a loved one, to another couple or two hanging out after a backyard barbecue! 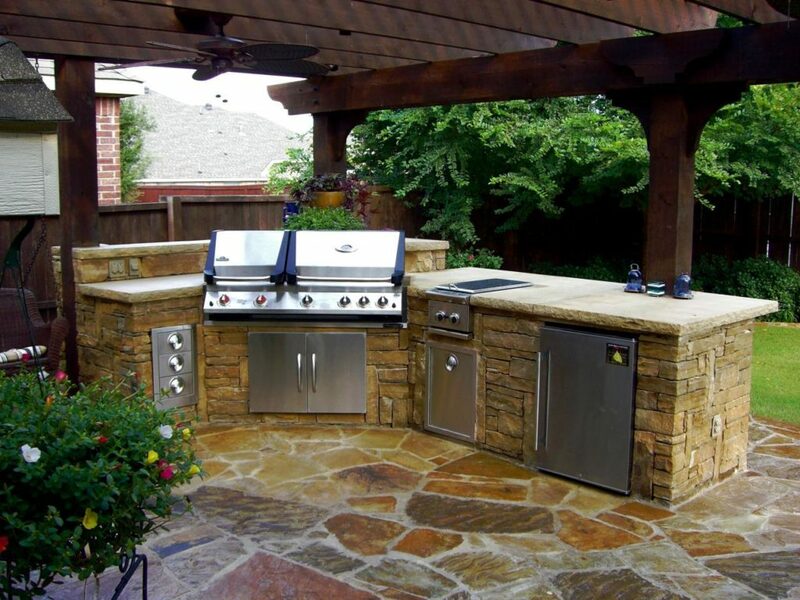 Outdoor kitchens aren’t just a fancy real estate trend anymore – they’re a great way to double up on your outdoor space and create a totally functional cooking environment, right in your backyard! No more running back and forth from the grill to the kitchen, when you can simply keep everything in one place for convenient, easy access. Nothing says comfort and relaxation like a little mood lighting. It can be challenging to imagine what your deck might look like when it’s lit up at night, especially on harsh, sunny days, but developing a solid plan to create the desired mood in your back yard can make a world of difference. Whether you’re looking for a bright, well-lit space, or just a little ambience, adding the appropriate lighting fixtures to your deck can really complete the aesthetic and give you the space you’ve always dreamed of. It can be a little challenging to step outside of the conventional box when it comes to your backyard, but there are some super easy ways to give your outdoor space a spacious, professionally designed feel. 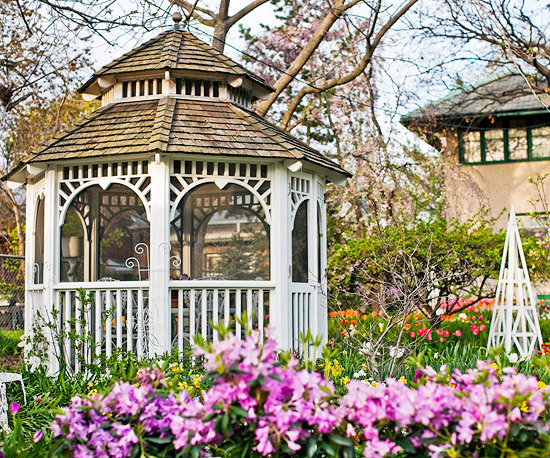 One of the best ways to accomplish this is to add other outdoor furniture and fixtures – from gazebos to picnic tables – that can help to break up that wide open space and give the sense that your backyard aesthetic was created by an expert. This entry was posted on Wednesday, June 21st, 2017	at 3:32 pm	. Both comments and pings are currently closed.